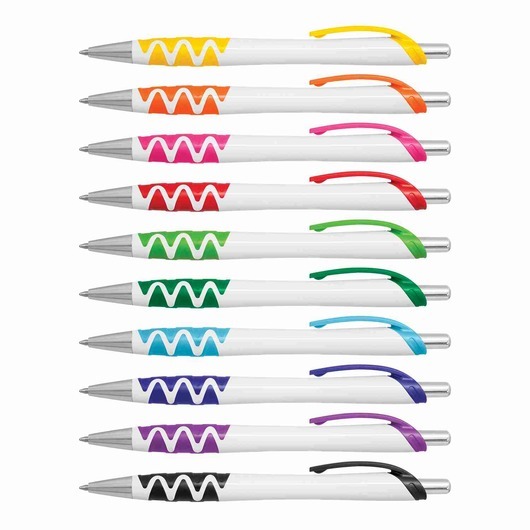 A colourful ball pen that will have your hand moving and grooving. 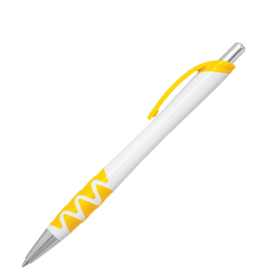 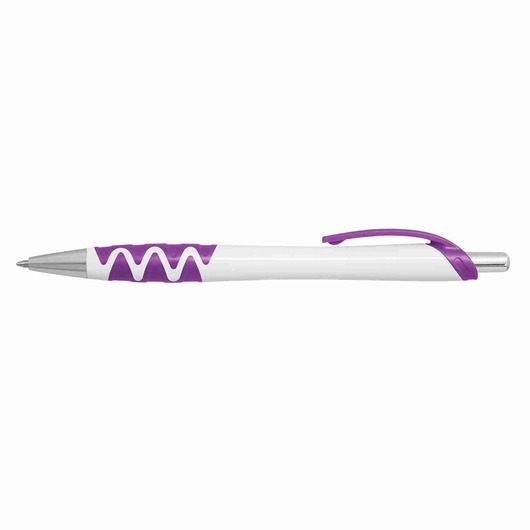 Introducing the Jazz Pen, representing fun and high energy these pens are great for any type of promotion and come in a wide range of stunning colours. 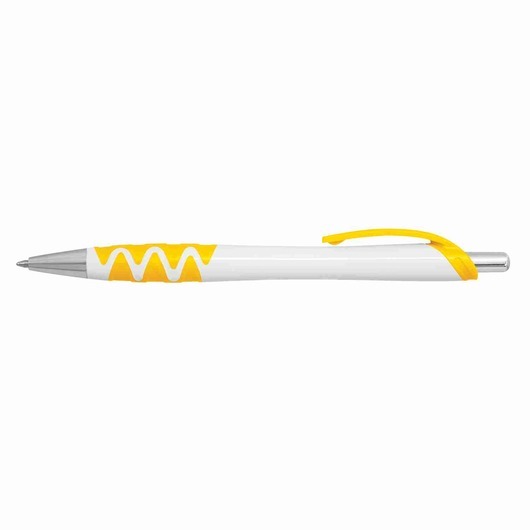 They're a retractable metal and plastic ball pen with a white barrel, shiny chrome accents and a unique double injected grip zone. Comes with a 1200m black, German manufactured ink cartridge and a tungsten carbide ball for improved writing performance.